Replacement: None. We are no longer carrying this PIC in our catalog. This page is for reference only. 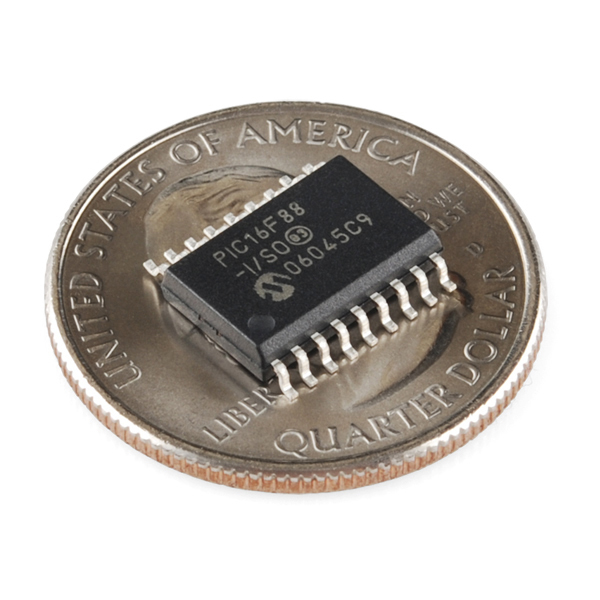 This powerful (200 nanosecond instruction execution) yet easy–to-program (only 35 single word instructions) CMOS Flash-based 8-bit microcontroller packs Microchip’s powerful PIC® architecture into an 18-pin package and is upwards compatible with the PIC16C7x, PIC16C62xA, PIC16C5X and PIC12CXXX devices. 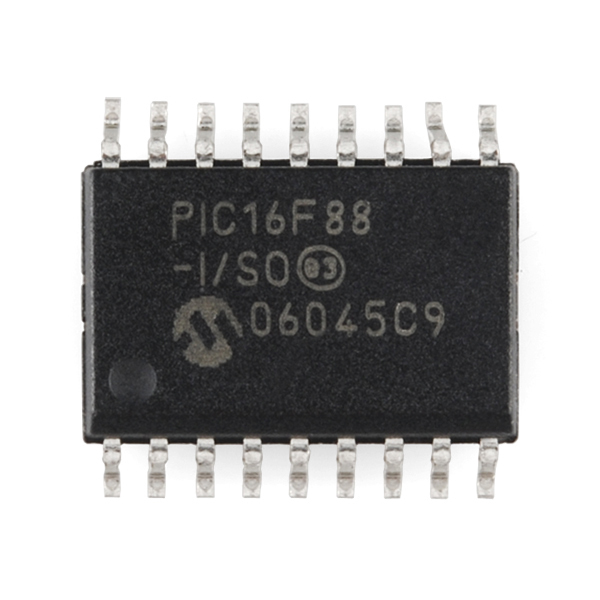 The PIC16F88 features 8 MHz internal oscillator, 256 bytes of EEPROM data memory, a capture/compare/PWM, an Addressable USART, a synchronous serial port that can be configured as either 3-wire Serial Peripheral Interface (SPI™) or the 2-wire Inter-Integrated Circuit (I²C™) bus, 7 channels of 10-bit Analog-to-Digital (A/D) converter and 2 Comparators that make it ideal for advantage analog / integrated level applications in automotive, industrial, appliances and consumer applications. Do you sell a progammer for smd PICs? 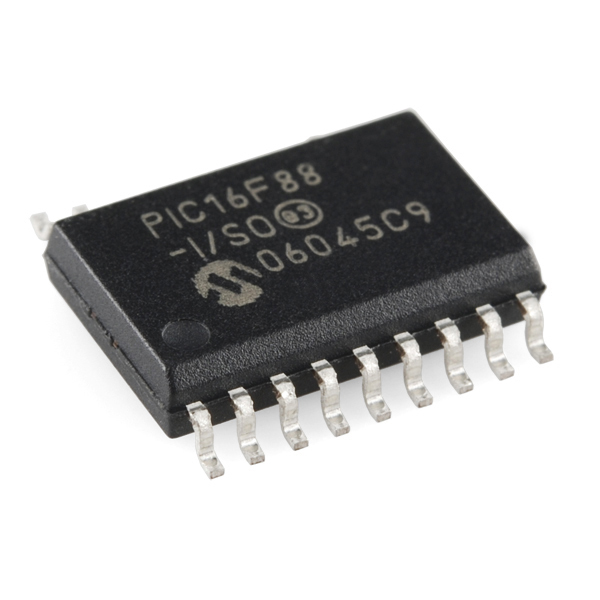 Usually what you'll do for SMD PICs is to solder the unprogrammed chip to your PCB, and then connect your PCB to the programmer with a six-pin ICSP (In-Circuit Serial Programming) cable. All of our programmers have headers for such a cable.